Scotland’s only silent film festival is ready for its third year in the beautiful Hippodrome ‘picture palace’ in Bo’ness. The Hippodrome Festival of Silent Cinema has been extended to a five day event for the first time, with a flurry of musical performers accompanying all screenings. Running from the Wed 13 Mar, the Festival of Silent Cinema is out to make some serious noise for 2013. 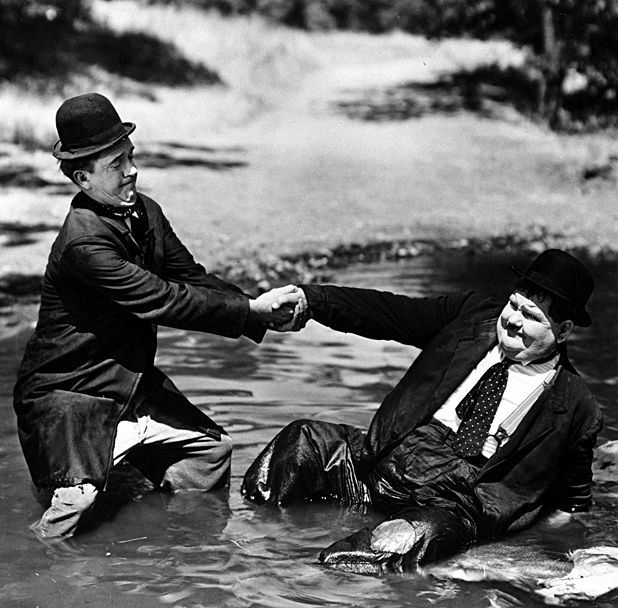 Gracing the screens will be some legends of silent film, including Charlie Chaplin, Laurel and Hardy and Buster Keaton, as well as the lesser known but notable Baby Peggy, Jack Pickford and Ossi Oswalda (known as 'the German Mary Pickford'). The festival programme also includes screenings of the modern silent film sensation The Artist. There are over 40 diverse acts performing alongside these old school films. Andy Cannon will be bringing back the art of the ‘film explainer’, enhancing the silent films with interpretation and information, with a little musical assistance from traditional folk musicians Frank McLaughlin and Stewart Hardy. Rockabilly/skiffle band The Dodge Brothers (notable for featuring one Mark Kermode on bass) will be taking on their first Scottish performance as part of the Hippodrome event. Thanks to their talents, the Russian drama The Ghost That Never Returns will be screened with a soundtrack nobody (least of all the original filmmakers) could have ever expected. The Hippodrome Festival of Silent Cinema is boasting an exciting list of events, showcasing old legends as well as new talent. Get ready for the festival’s longest and loudest appreciation of silent film yet. Hippodrome Festival of Silent Cinema, The Hippodrome Cinema, Bo'ness, Wed 13-Sun 17 Mar. Scotland's only silent film festival runs over five days with events, screenings and workshops, featuring live music and storytelling by national and international musicians and performers. This year's opening film is the 1922 Rob Roy. Programme includes The First Born, Another Fine Mess, The Black Pirate and Safety Last!